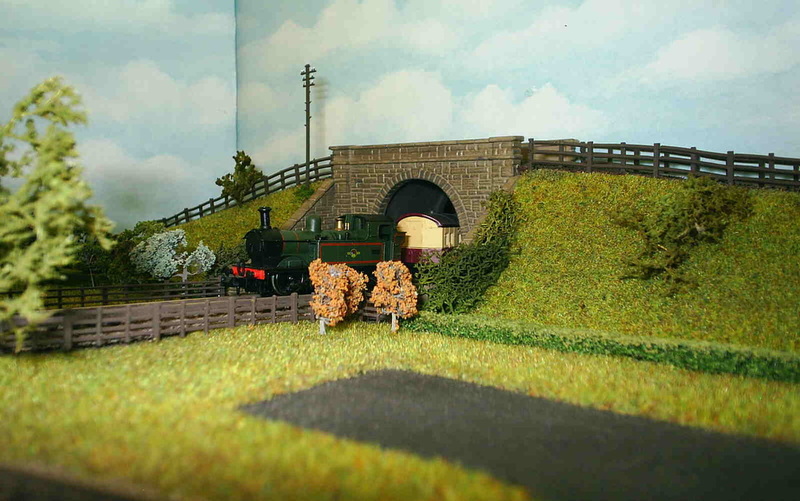 This is a model of a small branchline in Oxfordshire. The scale is 2mm = 1 foot (N gauge) It represents the last quarter of a mile from the CWS creamery to the terminus, all of which have now disappeared under an estate of houses. Very little information is available about the line so the model was built using the Wild Swan book "The Wallingford Branch" (now out of print) with the black and white photographs and line drawings as reference. All the buildings are modified kits (Peco, Ratio & Metcalfe) with the exception of the gas works. 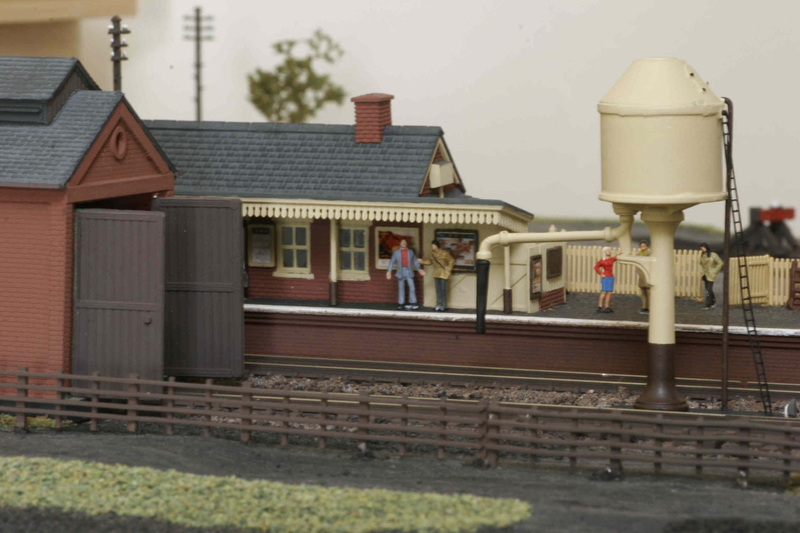 No photos were available of this area so I used Hornby Lyddle End buildings with a German kit by Piko for the gas holder. 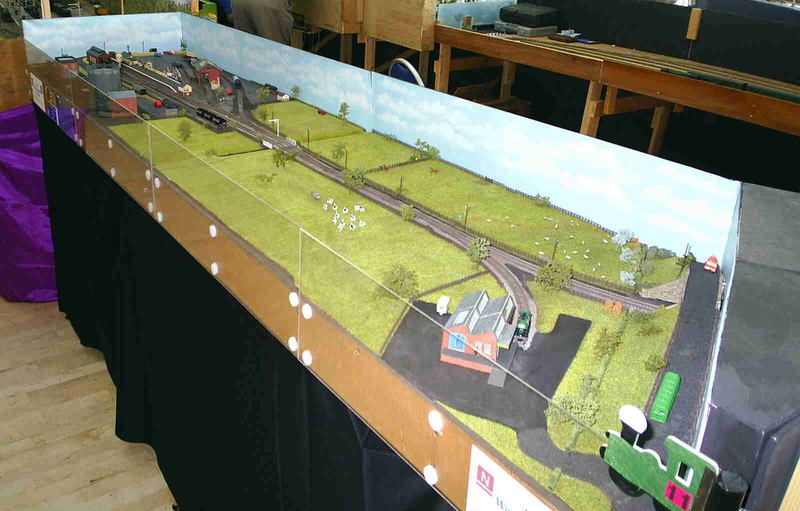 The proof of a convincing prototype based model is when exhibiting the layout. Many people famililar with the station and surrounding area have kindly remarked on how accurate it is. In real life passenger services ceased in 1959 along with goods traffic in 1965. 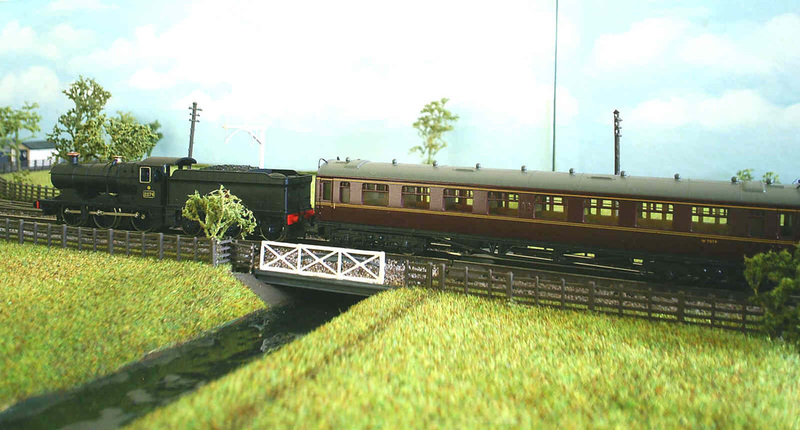 This model however is set in the mid sixties as this allows for both steam and diesel operation together with an interesting variety of passenger and goods rolling stock. 0-6-0 Collett 2274 crosses the mill stream bridge. Wallingford station building and engine shed. 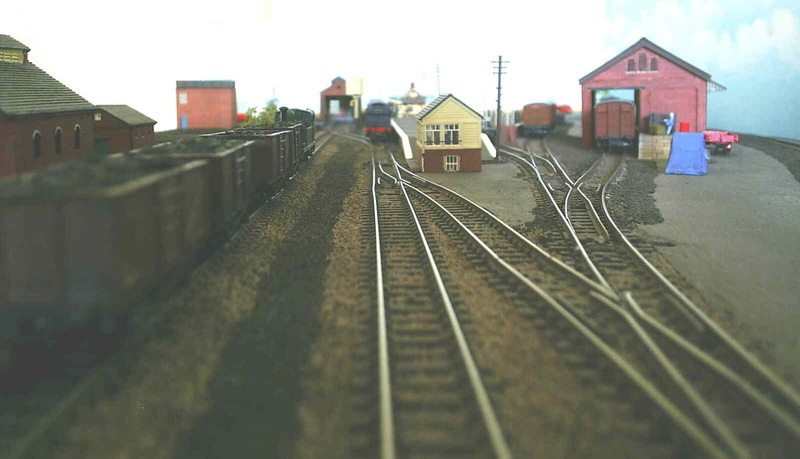 Drivers view of station approach. 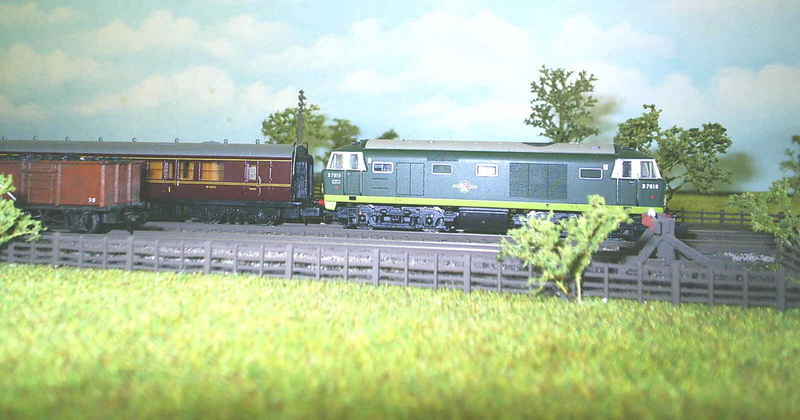 Hymek D7018 pulls out of the station with a rake of Collett coaches.